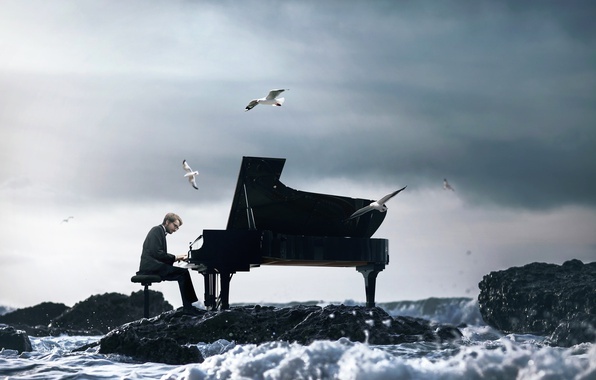 Ever seen a pianist playing the piano mid-air? You're about to. This is a quite extraordinary picture. He is a brave man. 'He' being the legendary Ludovico Einaudi of course. 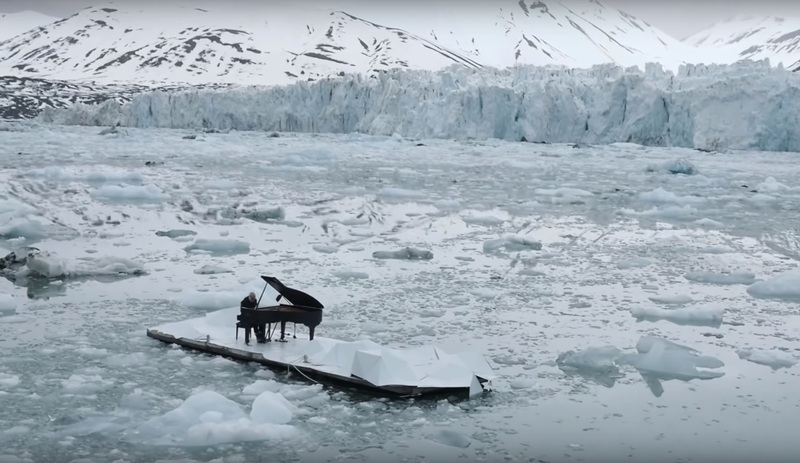 The Italian pianist and composer shot a video in collaboration with Greenpeace in the Arctic Ocean back in 2016 in order to raise awareness about our everchanging climate. It's fair to say they certainly caught our attention. Visit Greenpeace's website to find out how you can make a difference. 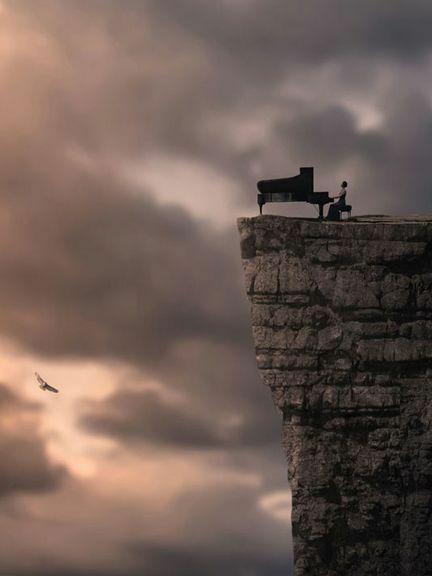 Just one wrong note and that piano could end up over the edge! 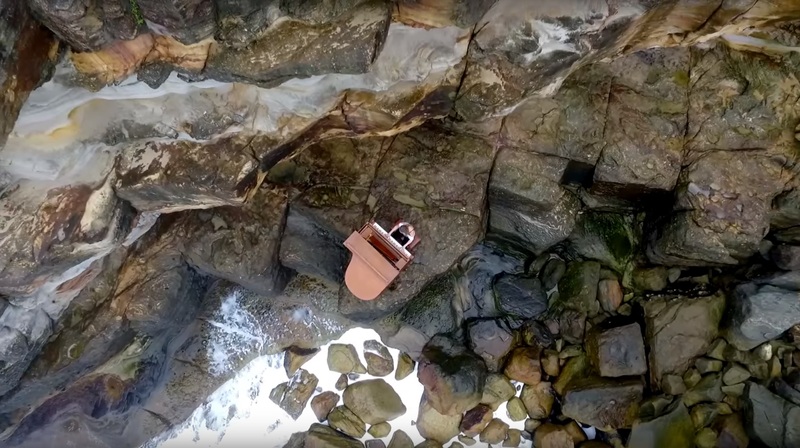 Whoever transported this particular grand piano can pat himself on the back for managing to keep it secure enough to record an entire music video on it. 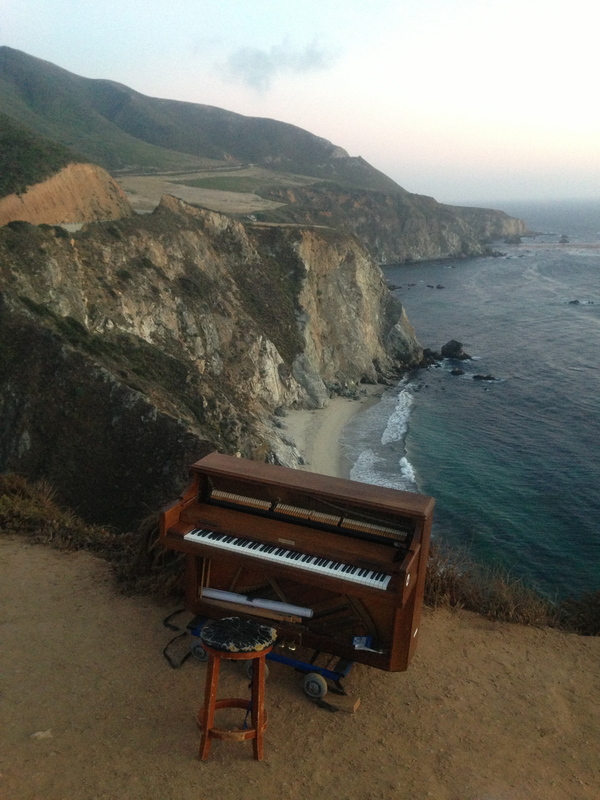 That piano must have legs of steel to be able to balance on such a rocky surface. 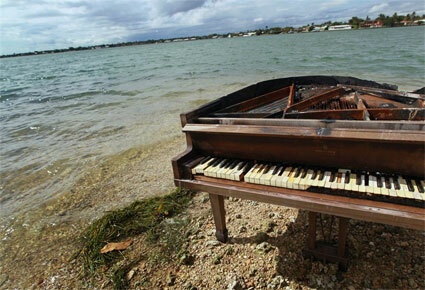 Back in 2011, this piano caused quite the controversy when it popped up in Biscayne Bay, Miami. A few days later, the mystery was solved. 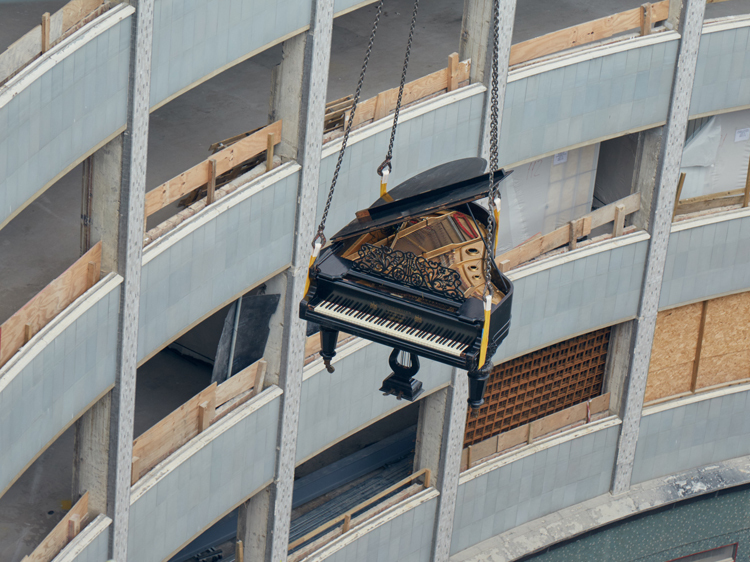 A 16-year-old student had transported the piano, with the help of his family, to Biscayne Bay to take some pictures in an attempt to impress the faculty at a college he was applying to. His family set the piano on fire and took pictures of him playing. What a waste. No piano deserves this end! This really DOES make my heart skip a beat. Too close for comfort. Stunning scenery. Beautiful piano. Just make sure it doesn't roll off the edge whilst you're taking a picture. No amount of wrapping would protect this piano should it plummet to the ground below. Thankfully, the transportation team involved in this particular lift completed the job safely. 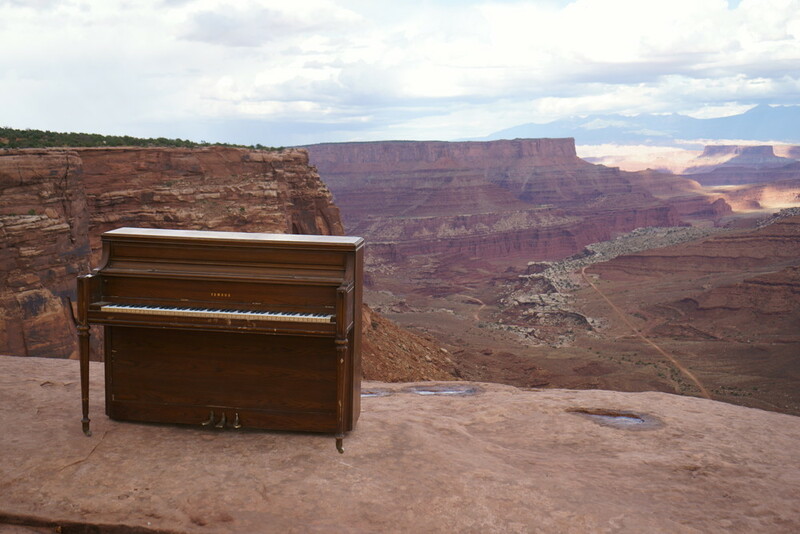 It's one thing to suspend a wrapped-up piano mid-air, but an exposed, open-lid piano? Let's hope this beauty was kept safe! 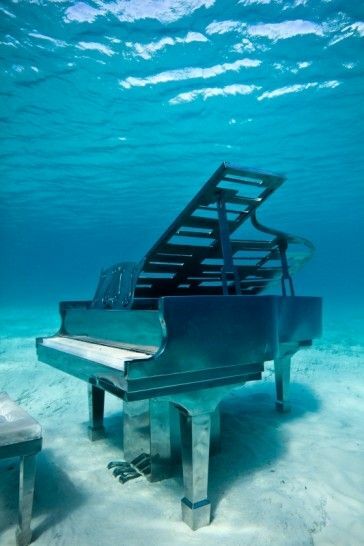 How fascinating it would be to attempt to play this underwater piano. Known as the 'The Musician', it was commissioned by the grand illusionist David Copperfield. The piano is submerged in clear, warm shallow waters on the private island of Musha Cay, part of the Islands of Copperfield Bay, Bahamas. Whilst this commission has likely rendered the beautiful piano unplayable (collective sigh), the image still manages to capture the beauty of this particular piano as it makes itself at home on the floor of the Caribbean. Nerves of steel from Brazilian pianist Ricardo de Castro! The Brazilian was suspended high above the streets of Sao Paulo back in June 2015 in celebration of the annual Virada Cultural event. 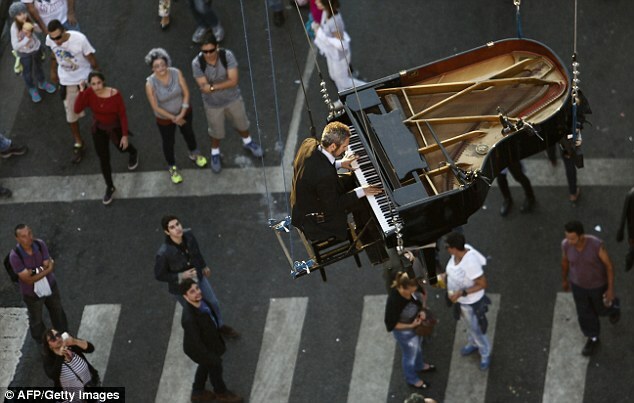 The 'Flying Piano' was suspended on wires whilst de Castro serenaded the starstruck public below. What a truly spectacular photo. Here's another brave but crazy pianist, this time in Germany! 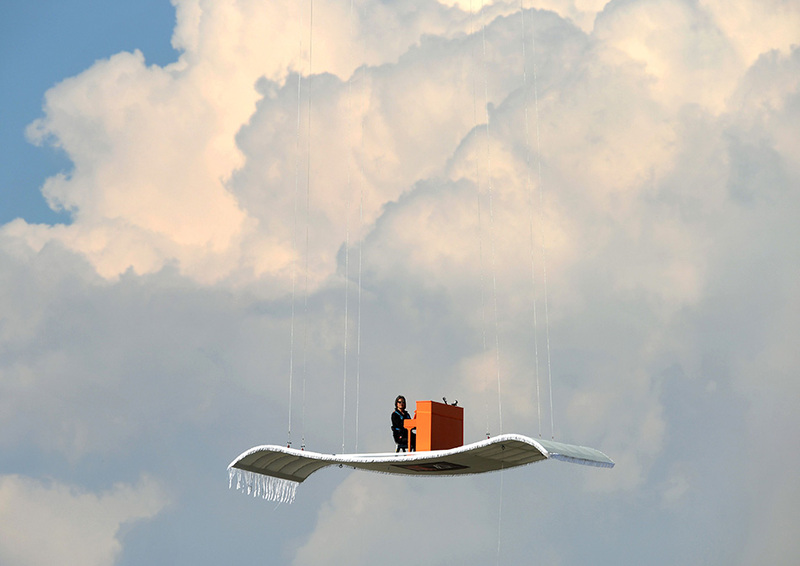 German pianist Stefan Aaron took to the skies over Munich Airport in 2014 on what looks like a flying carpet. 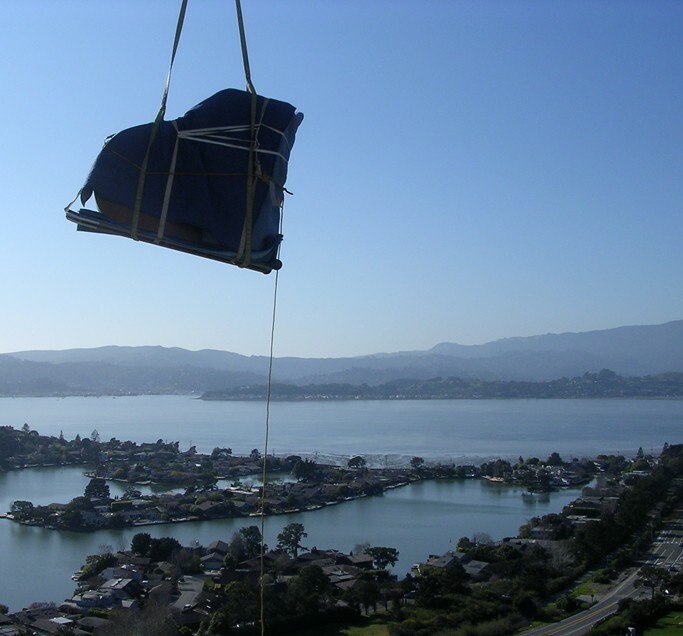 Suspended from a Helicopter above, Stefan performed the stunt as part of his "Orange Piano Tour".